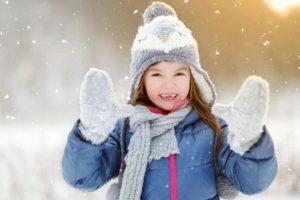 A friend of mine recently took to social media to describe an experience she had with a major mass retailer in the form of a “break-up letter.” She had a laundry list of complaints, and among the biggest was that this store is out of warm winter gloves and mittens for children…in Minnesota….in January. She goes on to explain they still had many of the “cutesy” fashion gloves that don’t really keep children’s hands warm, but they were out of the warm gloves that mattered. And not just temporarily out of stock either. She was informed they would not be getting any more in for the rest of the winter. She goes on to say, “They would have my repeat business easily if I could rely on them. Mittens get lost mid-season, and kids grow out of clothes sooner than expected. You can’t send a kid to school without mittens when it is 0 degrees, and I can’t order from them for delivery today. I find myself seeking out new retailers that keep seasonal items in stock. Often these days, that means Amazon.” With their same day delivery service, she doesn’t have to worry about waiting. Many of her friends agreed – all across the country they have had similar problems. One responded that retailers seem to think January is “let’s frolic in light sweaters” season. I myself have had problems finding winter coats when my boys have grown out of them mid-season. And don’t get me started on finding warm hats in February. The lesson for retailers is to plan ahead. Unlike trend-focused items, keep the items people consider basic needs, like warm clothes for children (or…seasonal medicine cabinet products for you pharmacy readers), in stock throughout the season or risk frustrated customers that are willing to permanently shop somewhere else due to disappointment.